Ralph Modder is a veteran Singaporean writer and journalist who worked on newspapers and magazines in Singapore, Malaysia and Hong Kong. He was born in Chemor, Perak. 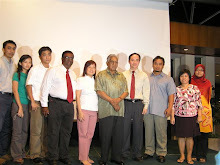 At a young age he and his family came to live in Singapore where he was educated. 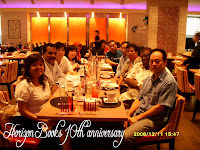 He was in Singapore during the Japanese Occupation from 1942 to 1945. He recently appeared in a one-hour BBC World Service programme, Fall Of A Fortress, to mark the 60th anniversary of the surrender of Singapore to the Japanese in February 1942 and a similar programme produced by Australian Television. Benny Wong's previous best-selling books are : The Boy Who Talks To Ghost and Killer Vampires From Hell. In The Gamblers Tree Demon, he saves the life of his uncle, a gambler, in a daring do-or-die rescue. His uncle was forced to become the `blood slave' of a powerful, blood-thirsty tree demon to whom he offered his own blood, hoping to receive `lucky' lottery numbers. Each year, from the last day of the 6th Lunar Month until the end of the 7th Lunar Month, the souls in hell come to Earth to feast at the Festival of the Hungry Ghosts. They rewarded those who were kind to them while they were alive and took revenge on those who had treated them unkindly. The annual Festival of the Hungry Ghost is celebrated by the Taoists and Buddhists and is attended by spirits who were being punished in hell for crimes they had committed when they were alive. They were permitted to attend the Festival because of their ‘good conduct’ and appeals made to Yen Lo Wang, the Lord of the Underworld, by family members for their temporary release. Some unruly ghosts refused to return to hell at the end of the Festival. They threatened to bring bad luck and even death to those who refused to hide them from Hell Guards who had been sent to arrest them. Some ghosts forced women into having love affairs. Benny Wong (The Boy Who Talks to Ghosts) battles against “Killer Vampire From Hell”, another best-selling action-thriller written Benny and his mother, Alice Wong. In this story, Benny Wong follows his Auntie Nancy to the Spirit World where he meets T'a-kung, the Lord of The Hills and Valleys of the peaceful Shang-aya, ‘a region somewhere near Paradise '. T'a-kung asks Benny to help to recapture Ah Chak, the demon vampire, who had escaped from hell with other vampires and returned to the World of the Living. After three thrilling battles with the vampires, Benny heroically recaptures Ah Chak with the help of the powerful ‘Lightning Sword' given to him by T'a-kung. living. In order to avoid any harmful publicity, we have not revealed their identities or our own. However, it in way alters the fact that this is a true story. 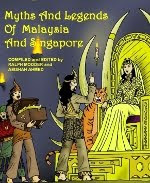 While the West has been inundated with stories and movies about blood-sucking vampires, werewolves, zombies and evil monsters of practically every description, little has been heard of a seductive, half-human female demon - the pontianak - that for a thousand years or more has caused more terror among the millions of inhabitants of Malaysia and Indonesia than any other evil spirit. These 'beautiful killers from hell' as they are sometimes called, are said to be the spirits of women who had died in childbirth and were jealous of pregnant women whom they killed. They appeared as large birds with grotesque women's faces, long tresses covering their black feathers and had sharp claws. The stories presented in this book were mostly passed down by word-of-mouth over a period of time and have no doubt suffered varying degrees of distortion in the process as would be expected of most unaccredited narratives. Consequently, it was necessary to fictionise the names of the characters in the stories.